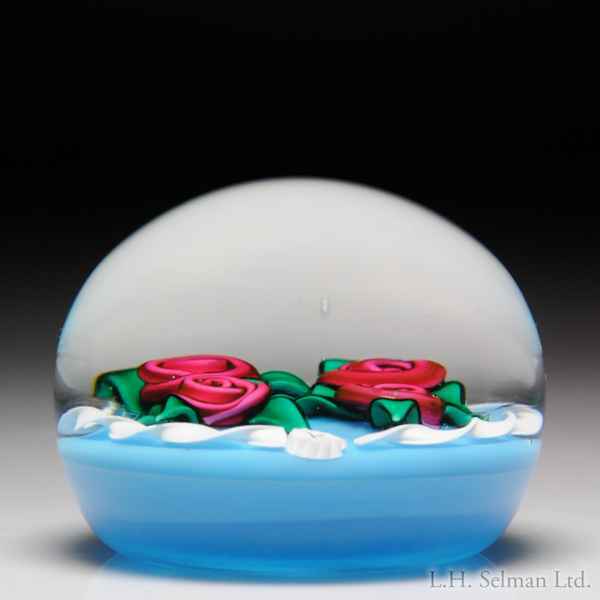 Charles Kaziun, Junior four roses and white torsade paperweight. Four robust, rose-colored cabbage roses, each with three pointed green leaves, are encircled by a white twist torsade closed with a "K" signature cane, on sky blue ground. Gold "K' on underside. Diameter 2 1/8".